Unlike others of its class, the Superior Ironside gun safes series have unprecedented features for such and economical gun safe. 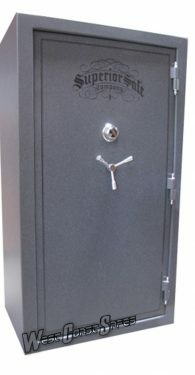 The series offers 5 sizes of gun safes and 2 sizes of home safes. 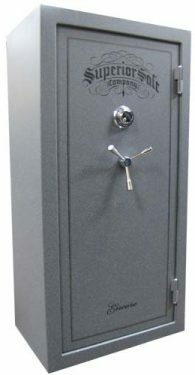 All Superior Ironside gun safes offer a plate steel door design, active bolts on all four sides, and three layers of fire protection on the top and two layers on the sides. The Ironside is a classic edition, more than qualified to keep your collectibles and valuables safe. The Ironside series feature: 7/16″ thick laminated plate steel door with heat expandable door fire seals , 12 gauge thick outer steel wall, four-way active bolts, up to 16-1″ active bolts, internal Locking Detent, ASME certified fire protection 1350°F 60-minute fire rating, U.L. Laboratories (RSC) Security rating. 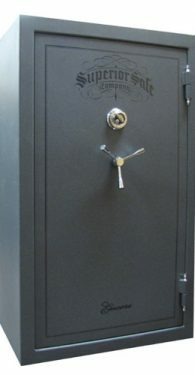 See the Superior Ironside gun safes on display along with about 170 other safes in our Ontario, California showroom. Our showroom is open 10am to 6pm, Monday thru Saturday. 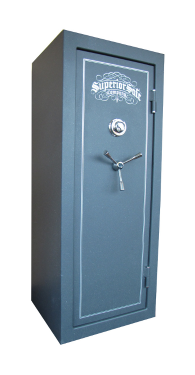 The Ironside gun safes come in 5 sizes, the Ironside 17, Ironside 22, Ironside 31, Ironside 41 and the Ironside 45.